• Those who’ve pre-ordered Sia’s new album ‘This Is Acting’ now have another new music baby to call their own, with the singer dropping the latest grat-track ‘One Million Bullets’ yesterday. It follows on from ‘Alive’ and the recent ‘Bird Set Free’ in being lifted from the LP, which is due into Aussie retailers on Friday January 29. • Looks like Friday is becoming the day of choice for some of the major labels to deliver their new music to Australian media. Plenty of new tunes popped into our inbox yesterday, including Mike Posner’s ‘I Took A Pill In Ibiza’, a re-service of Rüfüs’ ‘You Were Right’ in the wake of their ARIA win, plus The Vamps’ ‘Rest Your Love’, Years & Years’ ‘Eyes Shut’ and more. Of course, we bring you a comprehensive wrap of newbies every Thursday on our FACEBOOK page. • Love young Sony pop starlet Marlisa? Then keep your eyes peeled during next week as we reveal our latest pop interview with the singer, who talks about her latest single ‘Forever Young’, her dedicated Filipino fan base and notching up chart placings around the world. 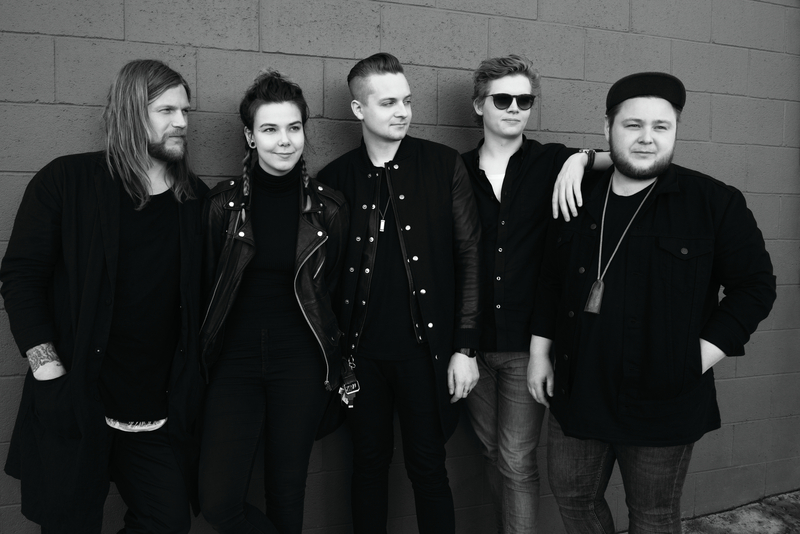 • Of Monsters And Men have confirmed they’ll embark on a tour of Australia’s East Coast from late April. The Icelandic five piece will play shows at The Tivoli in Brisbane, the Opera House Concert Hall in Sydney and the Palais Theatre in Melbourne on April 28, May 01 and May 04 respectively. Tickets are on sale from 10am local time on Friday December 04. • The team at Inertia has confirmed that Passenger’s album ‘Whispers’, released in June last year, has just been certified gold in Australia – for sales of 35,000 copies. The singer (aka Mike Rosenberg) arrived in the country this week ahead of his appearance on Ed Sheeran’s national tour, which kicks off in Brisbane tonight. • Jackson Browne has confirmed a Brisbane show. The singer will be in the country for Bluesfest in Byron Bay, but will now drop by the QPAC Concert Hall on Wednesday March 30. Tickets are on sale from Friday. • Justin Bieber retains the No.1 spot on this week’s UK singles chart; his track ‘Sorry’ holding off a challenge from his other track ‘Love Yourself’, which improves to No.2, swapping places with Adele’s ‘Hello’. Justin’s back at No.4, however, with ‘What Do You Mean?’, which also does the swap thing with Fleur East’s ‘Sax’. Nathan Sykes’ single ‘Over And Over Again’ is the week’s only top ten entry (at No.8). Brisbane’s own Grace, who hit the No.1 spot here with her cover of ‘You Don’t Own Me’ earlier in the year, makes her presence felt on the British chart with the same track, premiering at No.44. 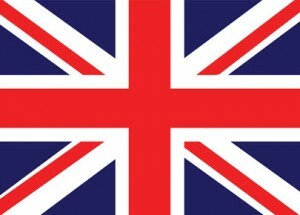 • And (surprise surprise) it’s Adele who premieres on top of the UK albums chart with her new album ’25’. But not just settling for a No.1 debut, the singer’s new album has smashed all previous sales records to become the UK’s biggest selling No.1 album (in a sales week) in history. It sold in excess of 800,000 copies in the UK in its first week, beating the highest opening chart week sales of Oasis’ ‘Be Here Now’ (which, admittedly suffered from only three days of sales). ’25’ sold more copies than the rest of the top 86 positions in the UK combined and is already certified double platinum. Enya’s in at No.4 with her newbie ‘Dark Sky Island’, One Direction’s ‘Made In The A.M.’ is down from No.1 to No.5 and Olly Murs’ album ‘Never Been Better’ re-enters the countdown at No.9, thanks to that repackage. Take That’s ‘III’ also re-enters the countdown (at No.11), also thanks to a recent repackage. • The sales of Adele’s single ‘Hello’ just continue to grow in the United States, where it holds the No.1 spot for a fourth consecutive week on the Billboard Hot 100 Singles chart. 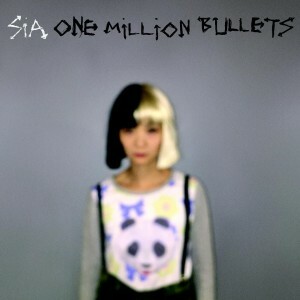 With another 327,000 sales in the bag this week, the single’s smashed through 2.5 million copies in a month. It’s now up to 2.59 million sales. Justin Bieber’s ‘Sorry’ edges higher again (up to No.2), while his new track ‘Love Yourself’ comes in at No.4 on debut, meaning the Canadian pop superstar now holds 60% of the US top five (‘What Do You Mean?’ is at No.5). Missy Elliot is also back in a big way. Her new single ‘WTF (Where They From)’ – featuring Pharrell Williams – is up from No.91 to No.22. • Justin Bieber’s ‘Purpose’ has followed its Aussie lead and premiered at No.1 on the US Billboard 200 albums chart, besting the latest from the One Direction boys, ‘Made In The A.M’, which lands at No.2. In fact, eight positions in the American top ten this week are filled with debuts; Logic’s ‘The Incredible True Story’ is new at No.3, Jeezy’s ‘Church In These Streets’ is new at No.4 and Chris Young’s ‘I’m Coming Over’ premieres at No.5, making it an all-new top five. From there, Trans-Siberian Orchestra’s ‘Letters From The Labyrinth’ drops at No.7, Alessia Cara’s ‘Know-It-All’ is new at No.9 and the No.10 spot is filled by Kirk Franklin’s ‘Losing My Religion’. • That’s your lot for the UK and US charts as part of The Purge, but as always, as you’re out enjoying a nice Saturday latte, we’ll be slaving away over a hot computer in order to bring you Chart Watch at 6pm. It’s our weekly wrap of the Australian top 100 charts. Wonder if Adele will debut at No.1?